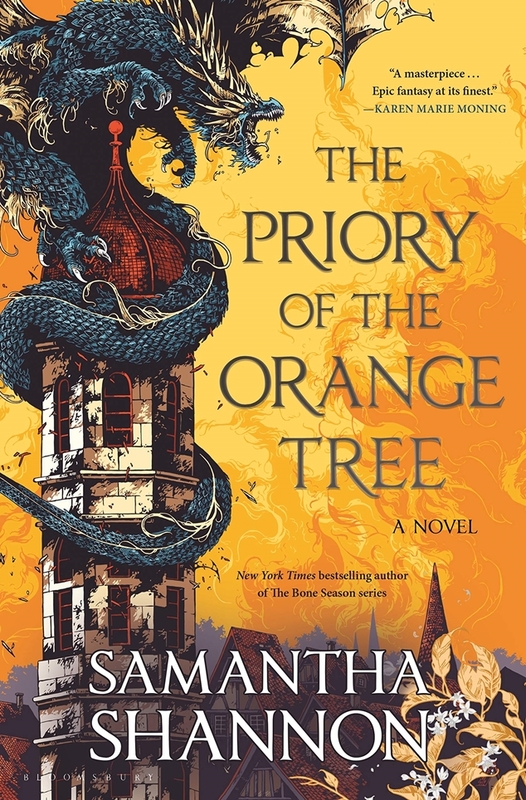 Taking her inspiration from stories of old, Samantha Shannon has built an intricate fantasy world that is populated by a huge array of characters (there are 15 pages of character descriptions), wyverns (wyverns are much smaller than dragons, have limited powers and only 2 legs as opposed to the four legs of dragons) and dragons stirring from long slumber. After a thousand years of peace, ‘The Nameless One’, who leads the fire-breathing dragons, is awakening to destroy humankind. Shannon quotes Revelations 20 – “And I saw an angel coming down out of heaven, having the key to the Abyss and holding in his hand a great chain. He seized the dragon, that ancient serpent, who is the devil, or Satan, and bound him for a thousand years. He threw him into the Abyss, and locked and sealed it over him, to keep him from deceiving the nations anymore until a thousand years were ended”. In the West, Queen Sabran the Ninth of Virtudom is pressured to produce a daughter to continue the rule of queens and protect her realm from destruction, that is if the assassins don’t succeed. Ead Duryan is a mage from the Priory in the South that worships the Mother. She is undercover in Sabran’s court as a lady-in-waiting to secretly protect the queen with her forbidden magic, but the two of them become closer than either of them expected. In the East, across the sea, the dragons do not breathe fire and have human riders including Tané who has trained all her life to be a dragon rider. The West refuses to parley with the dragon-loving East in a East in a narrative that is full of intrigue. As the epic 800-page tale unfolds, the story is told from multiple points of view. There’s Ead, Tané, Niclays Roos, who has been banished by Sabran to the East, and Loth who is a close friend of Sabran. The reader gets absorbed into the lives and struggles of the main characters as this complex spread of people and dragons become united to defeat a mutual foe.